To many people, innovation is synonymous with great ideas. The common example referenced is the rolling suitcase. People struggled for centuries carrying their heavy luggage until some brilliant sage came up with the idea of sticking a set of wheels under the suitcase. A truly creative solution, overcoming a problem afflicting millions of people. I mean, it is true people were burdened by carrying their heavy luggage for centuries, and now it seems obvious in hindsight that having wheels on luggage is more convenient, but I don’t think this innovation should be attributed to a great idea. 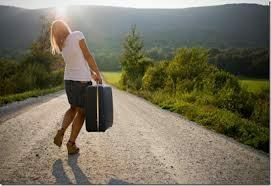 The commonly told story is Bernard D. Sadow came up with idea for the wheeled suitcase in 1970 after struggling to carry his heavy luggage through an airport on vacation in Aruba. However, this misses the salient fact; Bernard D. Sadow was the vice-president of a luggage manufacturing company. The modern suitcase, which rolls on two wheels and has a foldable handle, follows a similar story. A pilot and home tinkerer created the suitcase for himself. After being asked by colleagues, he started selling the suitcase to other airline workers. Eventually, enough passengers saw it, asked where they could buy one, and a new product was launched. I think it’s likely many people thought of putting wheels (and handles) on suitcases. Unfortunately, I think these people were limited by their capacity to actually build and finance their idea, preventing the product from being created. It took someone who actually worked for a luggage company, or someone who spends their spare time building stuff and worked as a pilot to build the idea. Had someone just called a luggage company out of the blue suggesting they add wheels to their suitcase, they likely would have been laughed at and dismissed. Good ideas are central to innovation, but for every good idea that gets created, many more brilliant ideas go untapped because the innovators lack the necessary ability to implement their ideas. “Thus, along with group size, the degree of social interconnectedness is very powerful in generating cumulative cultural evolution, even more powerful than individual smarts. Consider two very large prehuman populations, the Geniuses and the Butterflies. Suppose the Geniuses will devise an invention once in 10 lifetimes. The Butterflies are much dumber, only devising the same invention once in 1000 lifetimes. So, this means that the Geniuses are 100 times smarter than the Butterflies. However, the Geniuses are not very social and have only 1 friend they can learn from. The Butterflies have 10 friends, making them 10 times more social. Now, everyone in both populations tries to obtain an invention, both by figuring it out for themselves and by learning from friends. Suppose learning from friends is difficult: if a friend has it, a learner only learns it half the time. After everyone has done their own individual learning and tried to learn from their friends, do you think the innovation will be more common among the Geniuses or the Butterflies? Why is there so much innovation in Silicon Valley? When asked why there is significantly more digital innovation than physical innovation today, Peter Thiel argued it’s because bits are unregulated and atoms are regulated. While this statement may be true, it misses the point. There is so much digital innovation because when people have innovative digital ideas, they have the confidence and means to actually implement the idea. While regulation plays some role in this, it is much more difficult and costly to create a product in the physical world. A few years ago I got really upset after following Sam Altman’s Stanford course on start ups. What triggered me? The repeated notions the ideas don’t matter, and that non-tech people have no role in startups. I thought to myself – of course ideas matter, that’s what makes innovation. And of course non-tech people matter, because they can also come up with great ideas! But alas, Paul Graham and Sam Altman were right. Ideas are necessary to a successful innovation, but they are insufficient. If you lack the ability to implement your innovation, it likely will never be realized, no matter how brilliant the idea is. Two of my favourite innovations are US patent #8114451 and #6610344. 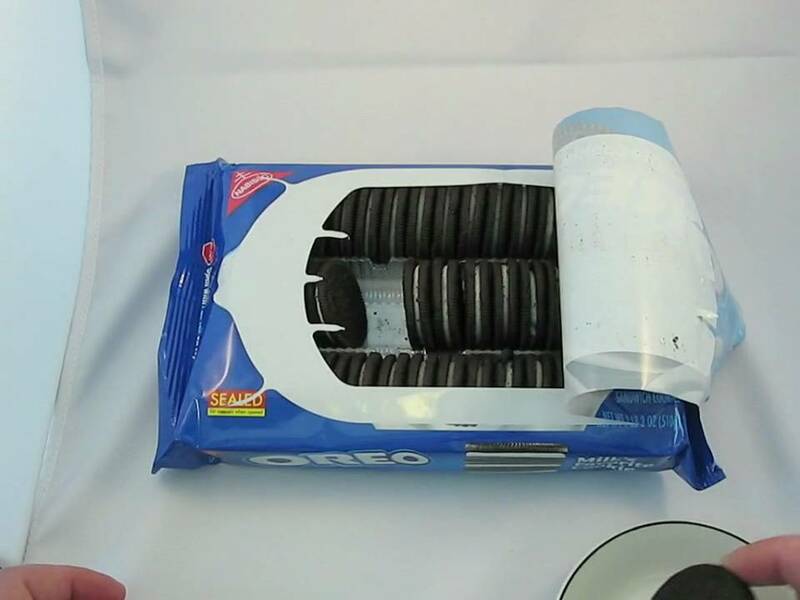 Respectively, these are patents for a container of cookies that opens in the middle rather than the top, and for Tostitos Scoops. While I enjoy snacking on both products, what makes them my favourite is how they highlight something humorous about corporate innovation. I am confident both ideas were envisioned thousands of times by fans of cookies and tortilla chips alike, yet these products were never created until large R&D teams were given millions of dollars to come up with new products. Unsurprisingly, both products have been the focus of litigation worth tens of millions of dollars. Singapore is one of the most incredible cities in the world and I am privileged to have lived there. One of the (many) reasons I loved being in Singapore is the overwhelming sense that if any person in the country has some idea to improve something in some way, whether they be a government official, civilian or tourist, the relevant people will be curious to hear their idea and is willing to test it. Last year, I came across a great example of this mentality. A rogue train was causing major disruptions on the Singapore subway system and the Singapore Land Transport Authority gave all of their data to a team of volunteer data scientists, who as a group, came up with innovative ways to identify and fix the problem, saving Singapore lots of money and a major headache. In contrast, I now live in Toronto where people are much more apathetic to the idea of civilians helping the subway function. I couldn’t use my metro card at the subway station nearest my house for weeks while there was no reader for it. This meant I had to use cash or “tokens” each trip, making my trip inconvenient (many people only use these metro cards and without a reader at the station, I witnessed many people avoiding the station due to an inability to pay). Eventually, I learned there was a metro card reader at the station, however it was located at a secondary entrance. I asked the staff at the station why there were no signs stating this, and was told they never considered it. I asked the person who told me about the reader why they never suggested it to the staff before, and they told me they didn’t believe the staff would ever add signs, so it wasn’t worth their time. I followed up with the staff member I spoke with the following week and was informed nobody had any power to put a sign up letting riders know about the reader at the secondary entrance. The difference in mentality between the people and government of Singapore and Toronto is stark. If Singapore is the example of a country that gets innovation, then Amazon is an example of a company that gets it. Amazon is trying to crowdsource ideas for movies and TV shows from random people, rather than exclusively rely on professional writers. Further, Amazon knows that bad formatting makes it hard to evaluate scripts and is a barrier for amateur writers to express their ideas. In light of this, Amazon is providing free auto-formatting software to make it easier for amateurs to write scripts digestible to studio executives. The cost to Amazon is almost nothing, but this way, Amazon can better unleash the wisdom of millions of non-commissioned fan writers, while increasing the likelihood of getting higher quality script submissions. Ideas matter, and our society suffers from the inability for good ideas to be heard. Corporations, governments and our society at large would greatly benefit from soliciting ideas from as many sources as possible. In the words of Joe Henrich, we have too many geniuses in our society and not enough butterflies.